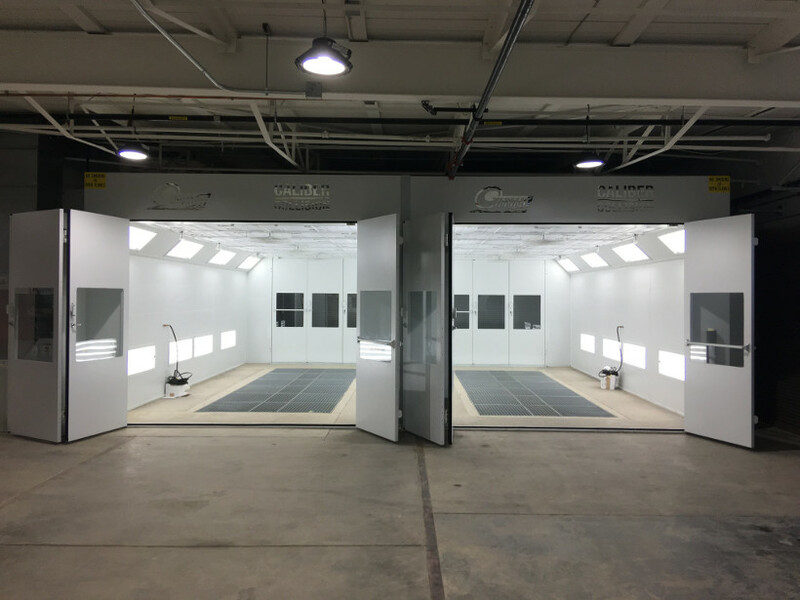 In today’s competitive collision repair market, reducing delays in production and improving quality of finishing are vital to an auto body shop’s success. 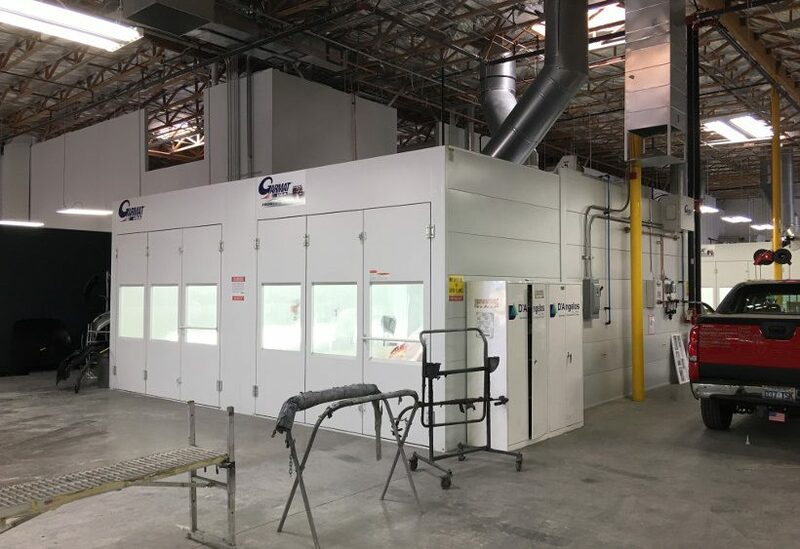 Increased production by streamlining workflow is a proven solution to a paint shop’s bottleneck. 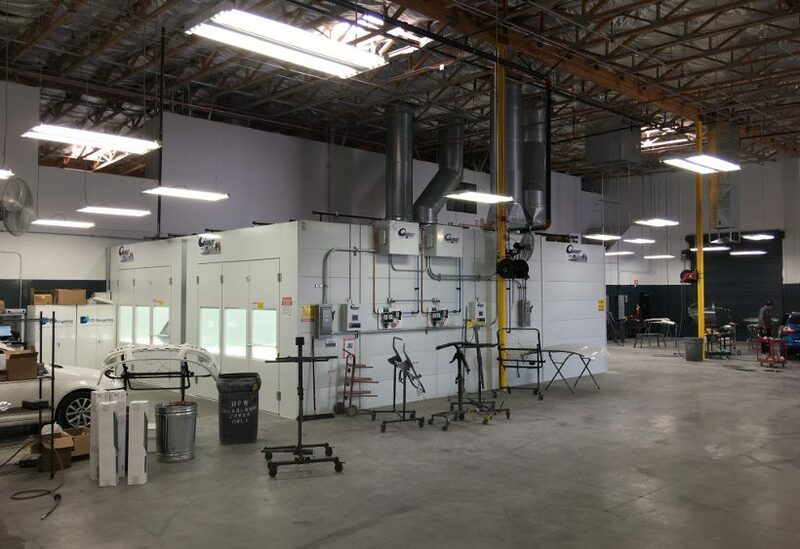 Consequently, this overall call for maximum usage in a collision repair shop has resulted in square footage becoming a premium. 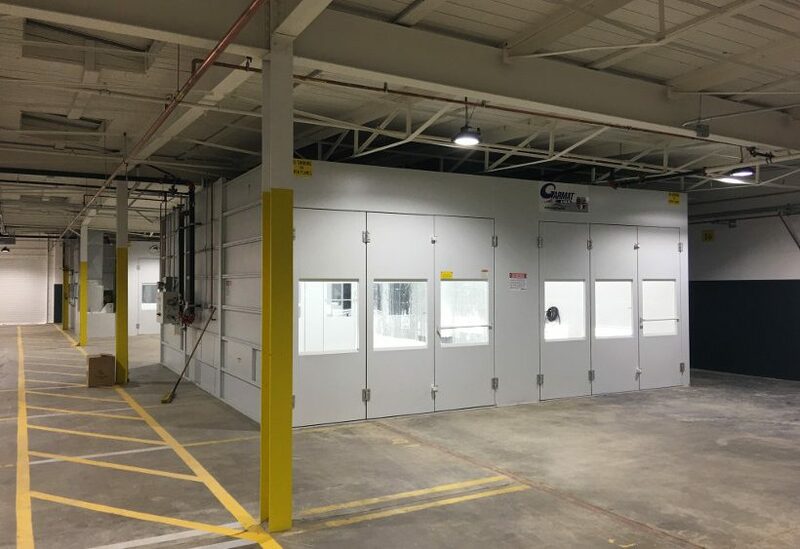 To meet the need of this demand, Rely On Technologies offers a fully enclosed Garmat Double Close Top Open Front Spray Booth (CTOF) booth provides the output of 2 downdraft paint booths, with a minimal footprint and a single heated air make up. 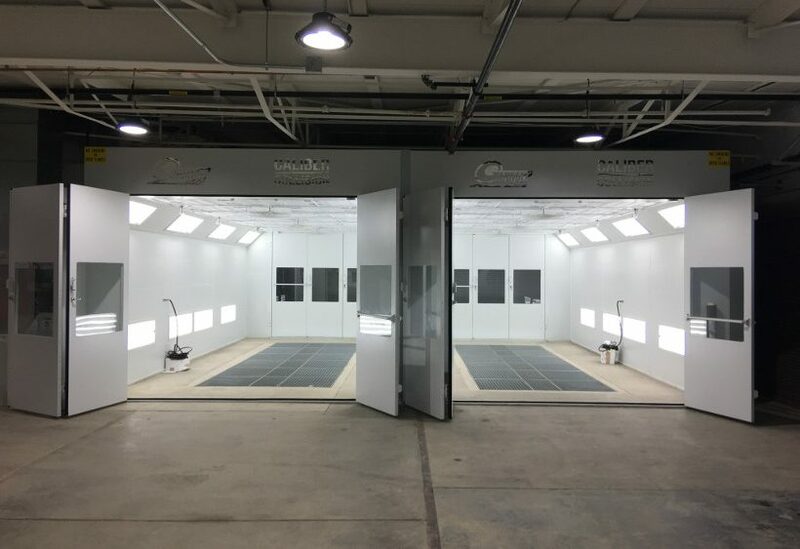 Garmat USA’s engineers wanted to take their existing vehicle preparation area and reengineer it to provide a booth quality atmosphere for legal edging and priming applications. 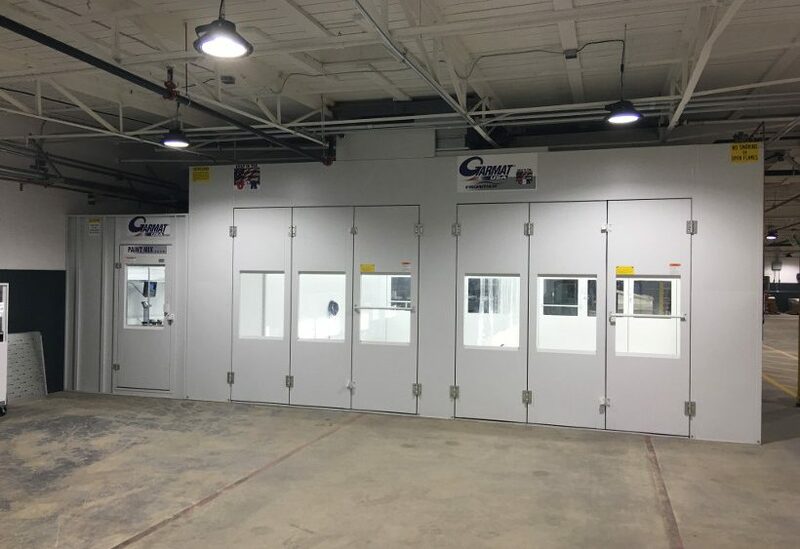 After many hours conceptualizing this vision, their product meets all NFPA 33 Code Requirements governing CTOF spray booth application equipment. 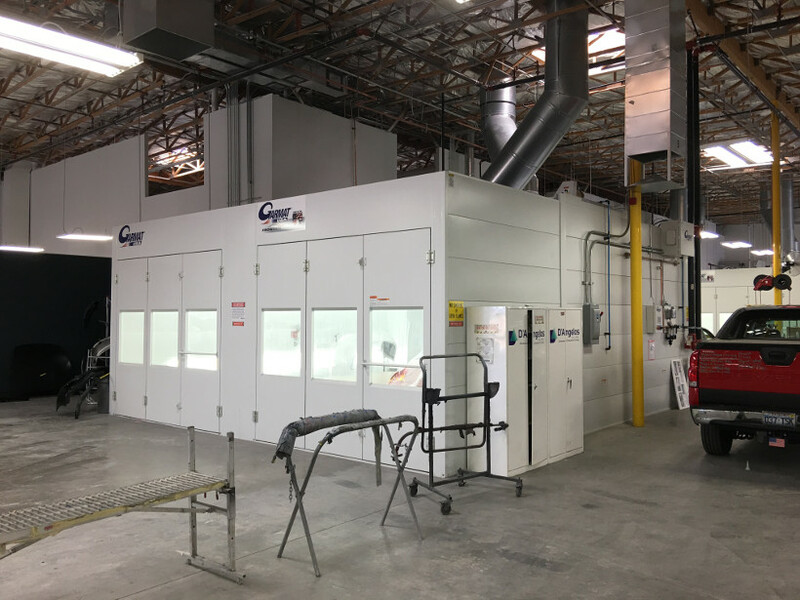 This equipment utilizes the same technology that gives our spray booths their aggressive airflow and quality performance. 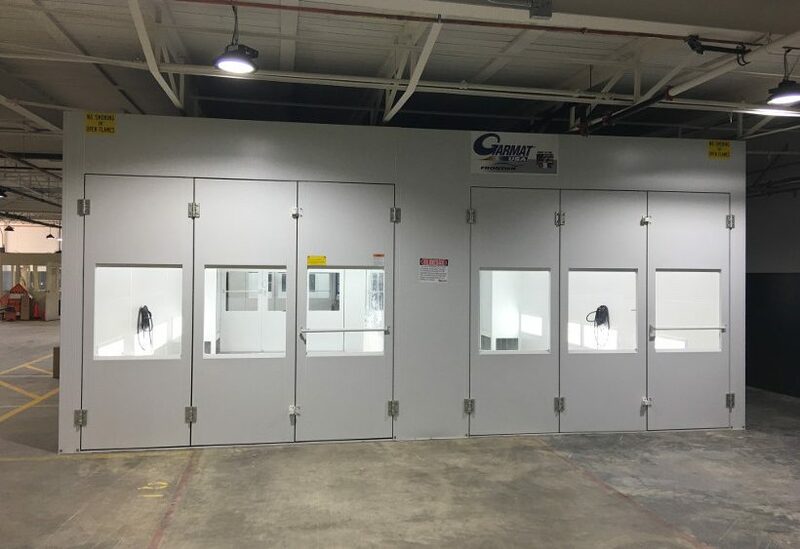 These specialized booths are constructed of EG steel with durable powder coated finish on fascia and ceiling panels. 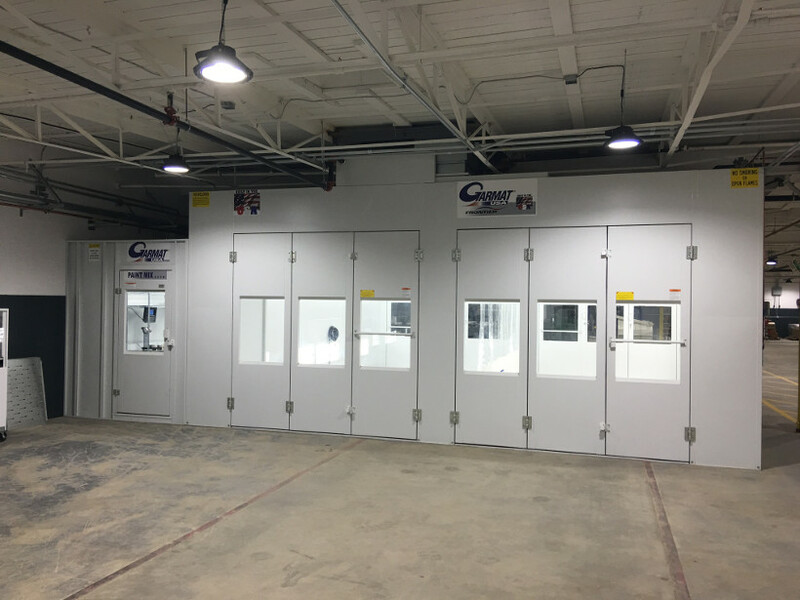 All non-heated units are equipped with a reverse incline fan, and all heated units are equipped with two reverse incline fans. 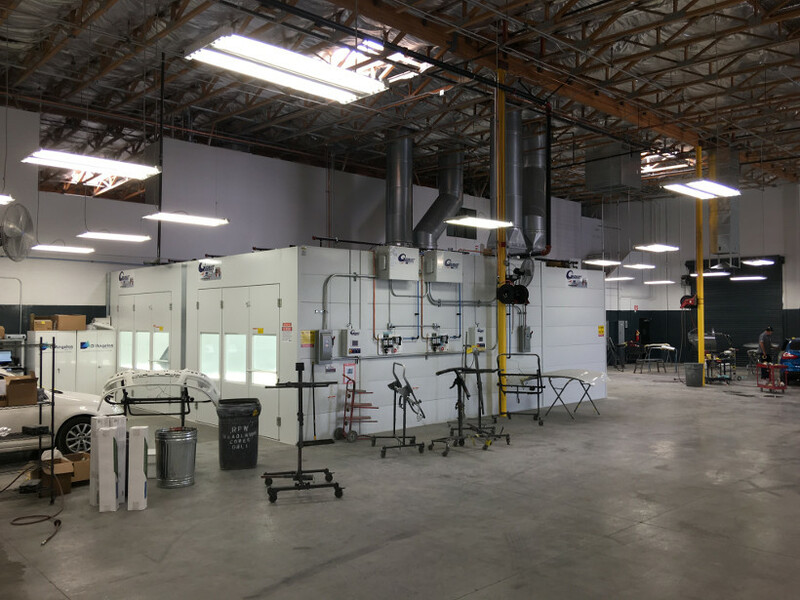 Single, non-heated units are standard for 5 hp motors. 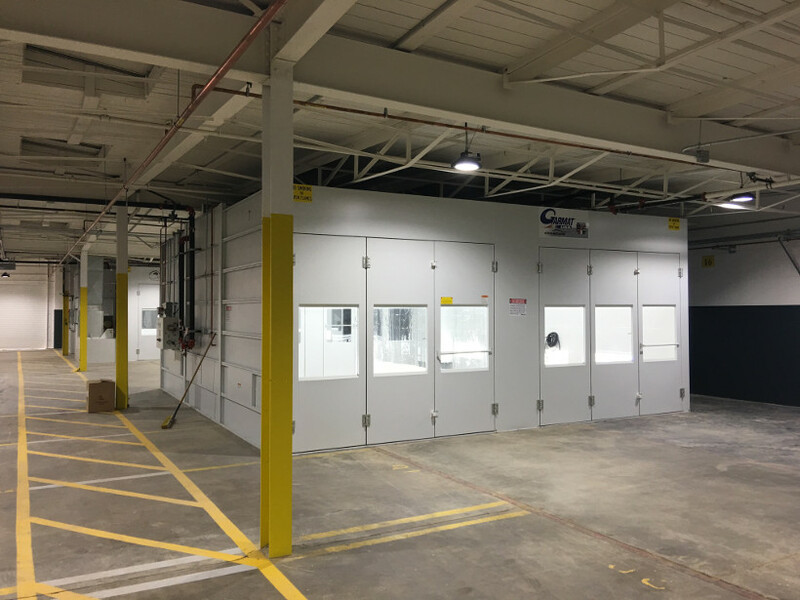 All heated and double units are standard with 10 hp motors and utilize 3 phase intrinsically safe remote control panels. 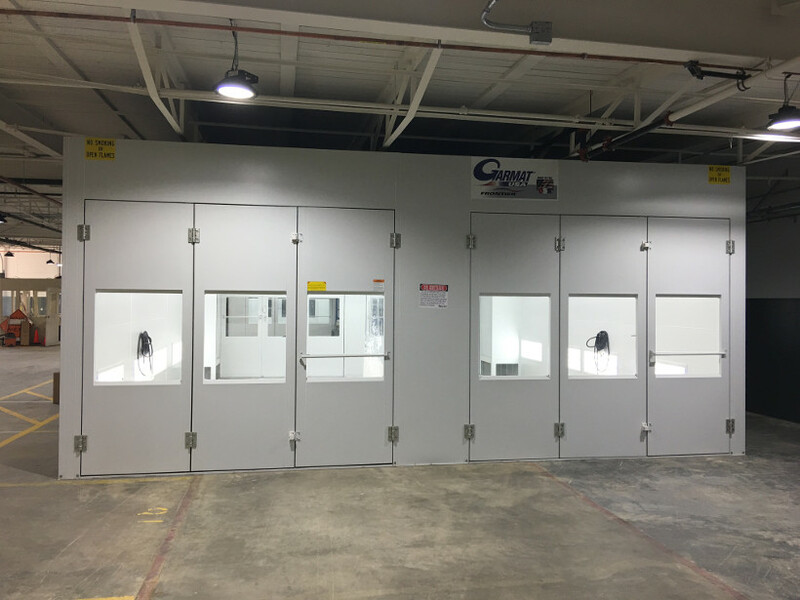 Complete electrical controls are provided (including motor starter, on-off switch, and pneumatic controls for recycle damper). When combined with a single, Garmat Downdraft paint booth, this becomes an effective method of eliminating the bottleneck that plagues collision repair, regardless of your building size. 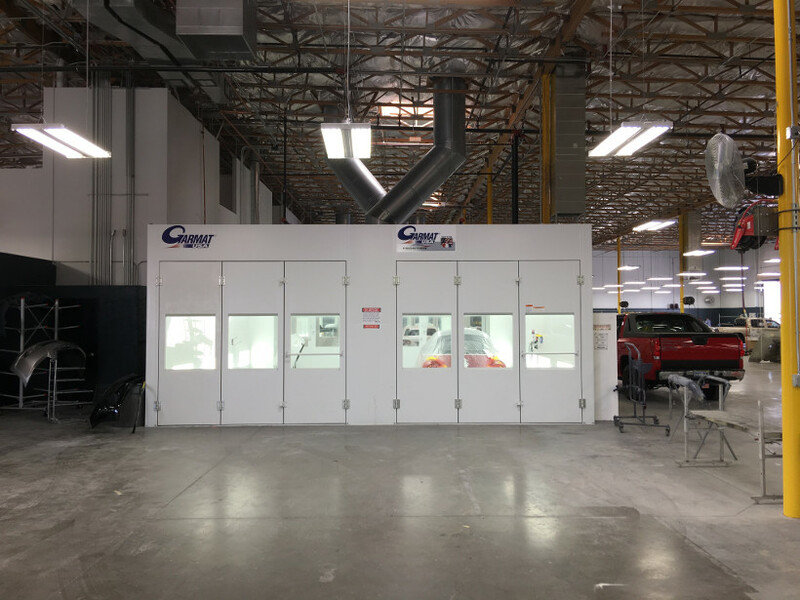 Call Rely On Technologies today for a shop evaluation for your future CTOF!